Mitt Romney was happy to make his way to Mara Lago when President Elect Trump called him to discuss joining his administration. He went behind closed doors to discuss the upcoming Trump White House and how he might be involved. The President was willing to look past Romneys full throated take down in March of 2016 in which Romney said in part “Here is what I know. Donald Trump is a phony, a fraud.” And this, “He’s playing the American public for suckers: His domestic policies would lead to recession. His foreign policy would make America and the world less safe.” Despite that Trump reached out and despite not asking Romney to take a place on his cabinet he seemed to move on. 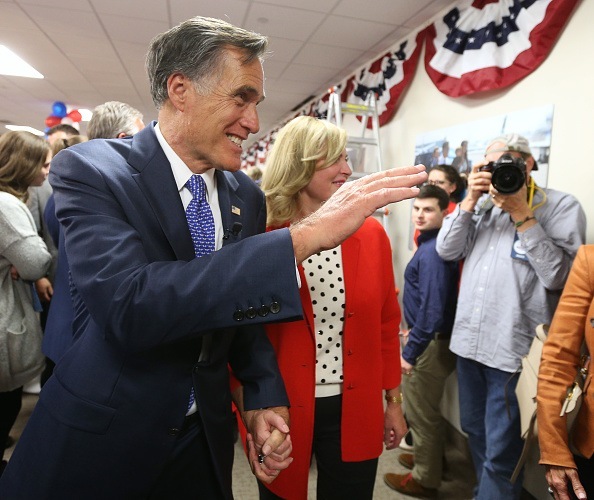 When Romney decided to run for US Senate from Utah he was happy to take the endorsement of President Trump. He’d apparently decided that Trump was good enough to take his backing for the race. However now that he has won the Utah seat held by Orrin Hatch for so many years Mitt is returning to his attacks on the President and his lack of character. It is odd to accept a man for his endorsement, to say thank you and then later take exception to a host of issues. It would seem if Mitt had such reservations on so many topics that he would have expressed those concerns before gladly accepting an endorsement. In fact upon further review it seems downright self-serving. During his vociferous remarks in 2016 Mitt predicted economic chaos and trouble. He also predicted in a less direct way that America would soon find itself at war with Trump in charge. There is little doubt that this has been a tumultuous White House and volatile administration but The President is under attack currently for trying to leave the theaters of war in both Syria and Afghanistan. In fact Romney’s self-serving op-ed that was published Monday in the Washington Post (self- serving twice it seems) appears to be a litany of Globalist talking points. He focuses on Trump’s image in foreign countries and the need to stop Brexit to save a united Europe. Well, that’s what I got out of it anyway. Mitt also lines out the thread bare liberal talking points as well and remarks on how he will stand up to divisive comments and those that he finds to be racist, sexist, anti-immigrant, dishonest or destructive. Did he consider these things before taking the trip to Florida in November of 2016 or embracing the nod from The White House for his Senate run in 2018? The entire column which has been widely panned on social media makes one wonder if the whole thing is just a precursor to Mitt entering the race for The White House in 2020. If so then it is obvious that the man easily defeated at the hands of President Barack Obama in 2012 has still failed to learn much of anything about the country and the states where he should have won but did not. Mitt Romney, like so many others predicted Donald Trump would never be President. He was wrong. Mitt did however get another big endorsement following the WaPo op-ed. Bill Krystal the pseudo-conservative voice of nevertrumpers everywhere called Mitt “the new voice of Republican resistance” to Trump. Well, maybe Mitt can find himself on the staff of The Weekly Standard so he can articulate his views… er wait a second. I am guessing that Mitt’s predictions this time around may not be much better than those the first time around about The President.